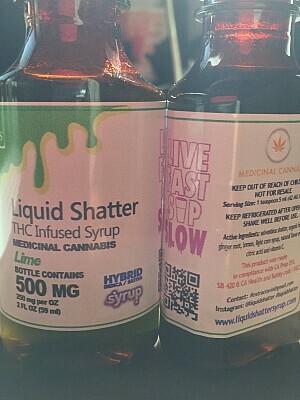 THC Infused Syrup.. you can now drink your dabs! Mix with juice, water, or better yet, a classic sprite. Each bottle containing 2 Oz. Flavors Include: Strawberry, Watermelon, Lime, Tangerine, Strawberry, Blue Raspberry.